Imagine a newly single girl's excitement when a bouquet of flowers arrives at her door. Imagine the excitement when she realised the bouquet had cakes in it. Apparently, not all men are rubbish, because the lovely Mr Kipling decided to surprise me with this gorgeous 'bou-cake'. A stunning mix of baby and bright pink roses, with added exceedingly good cakes. 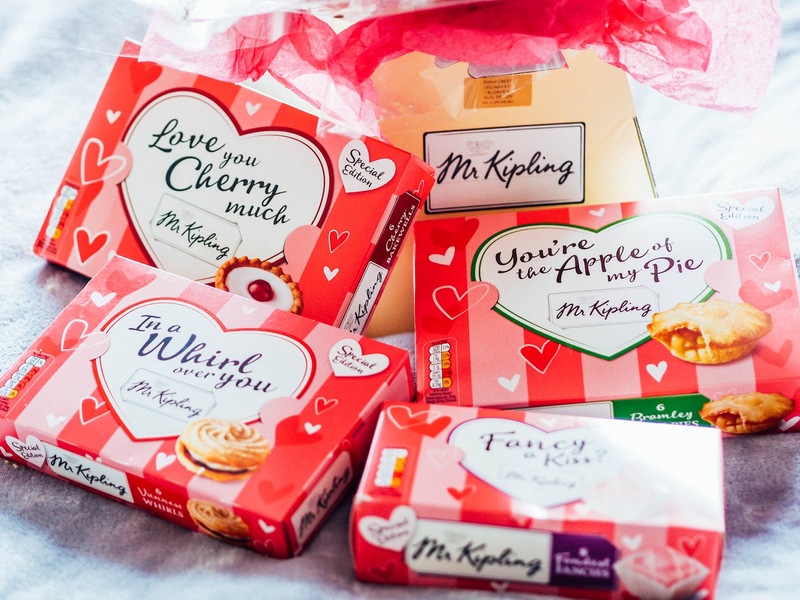 To celebrate Valentine's Day (whether you love it or hate it like me), Mr Kipling has added an extra dollop of love into his cakes with his limited special edition range of cakes. The packaging certainly does the talking with its bright pink striped boxes with the cutest play on titles. 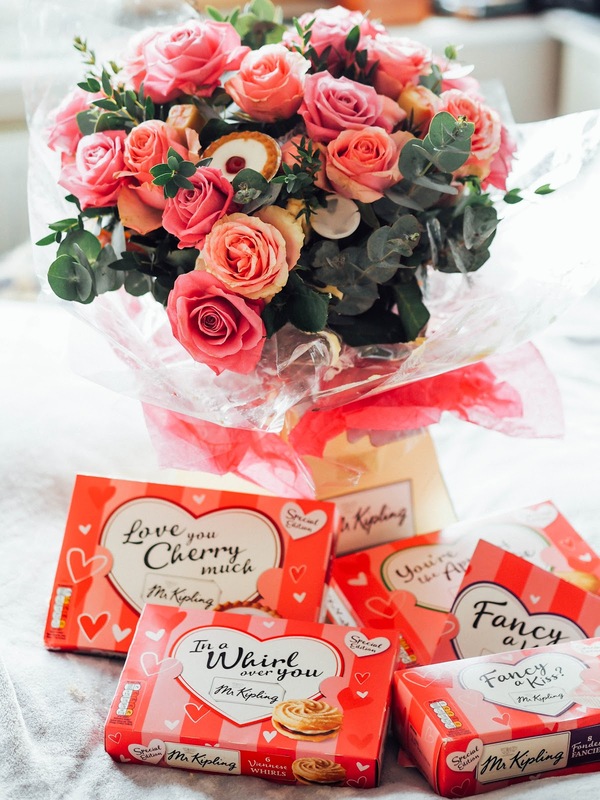 From 'You're The Apple of My Eye' (apple pies), 'Love You Cherry Much' (cherry bake wells) and 'In A Whirl Over You' (viennese whirls); the range is certainly guaranteed to put a smile on anyone's face. The range is available in all major supermarkets until mid-February, so there's still plenty of time to pick up a box or three! But be quick, as Valentine's Day is fast approaching and these limited edition cakes are proving to be quite popular! 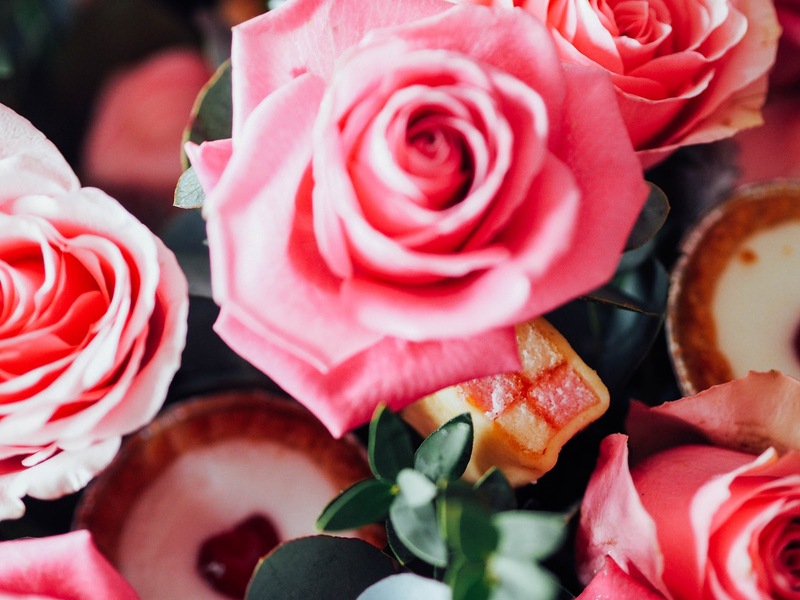 If it's the bou-cake you're after, then you can buy it directly from this florist for £30... and it even comes with a box of the limited edition Mr Kipling cakes! 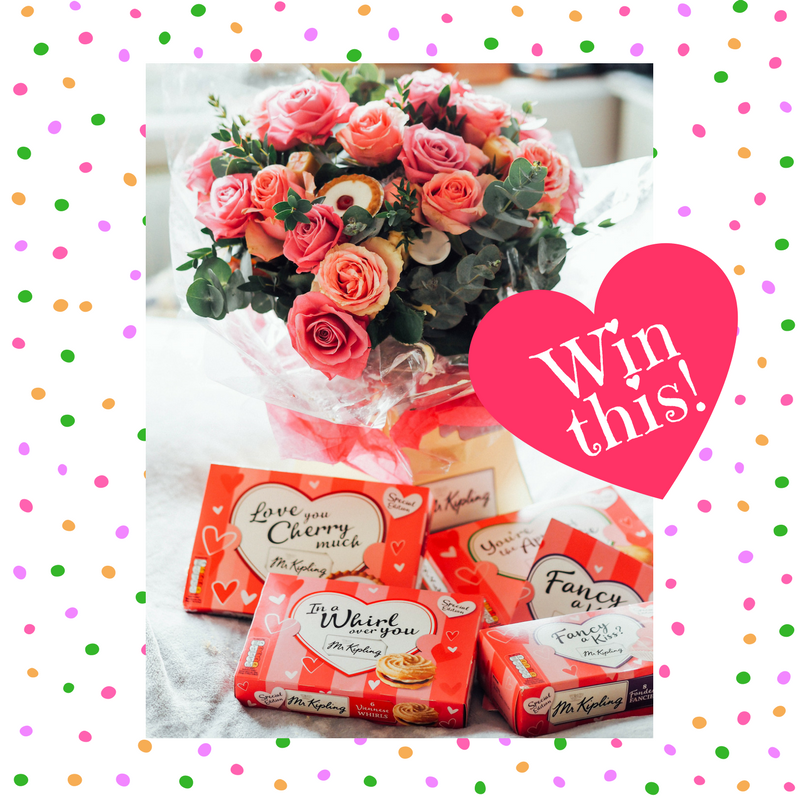 However, Mr Kipling is feeling very generous and is offering one lucky reader of my blog to WIN a bou-cake like above and a selection of cakes too! To be in with the chance of winning, just fill out the form below. This giveaway will end on 15th February and the winner will be announced on my Twitter! Best of luck! 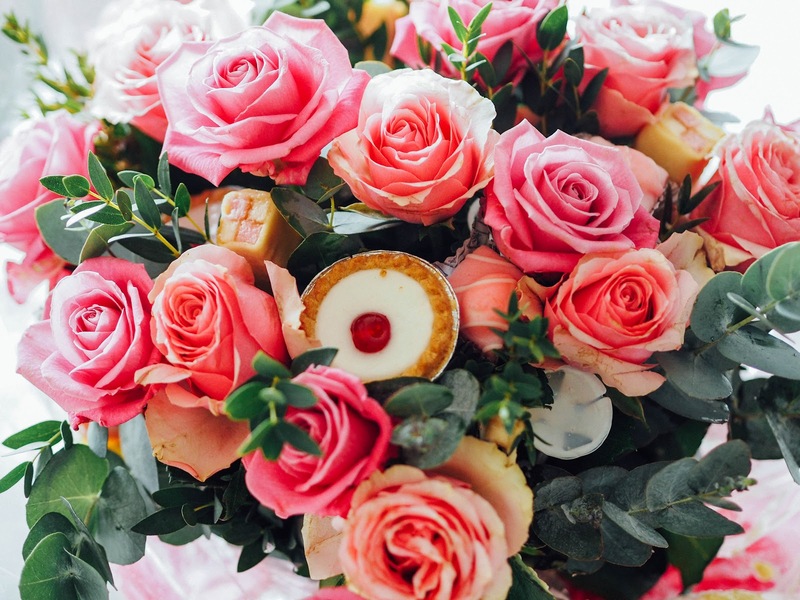 I love Mr Kipling cakes, the bouquet is brilliant! Just entered - that bouquet is bloody impressive! !